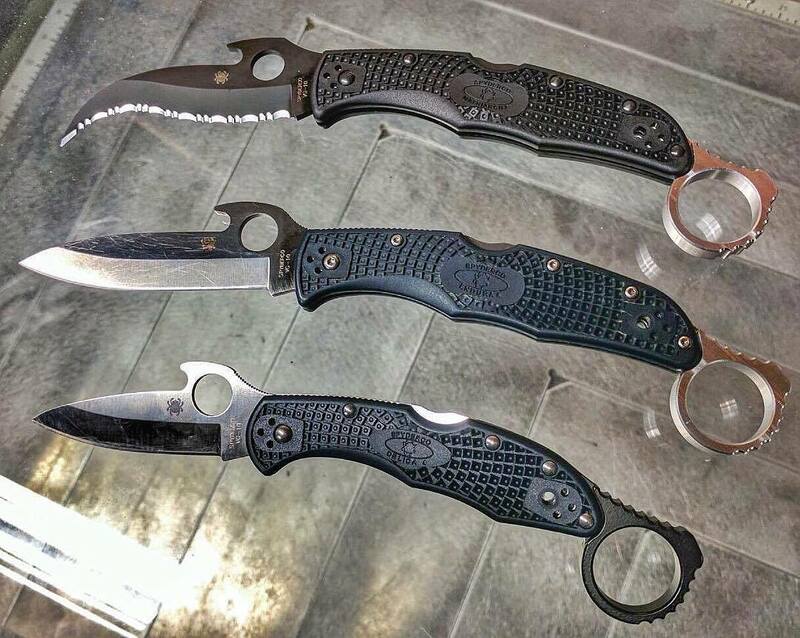 Wise Men Company has introduced a new version of their Signet Ring, this time for the Spyderco Paramilitary 2 and 3. The Signet Ring attaches to the Paramilitary to provide improved deployment and retention. It is machined from aluminum and has a 1″ diameter loop to fit most hands. 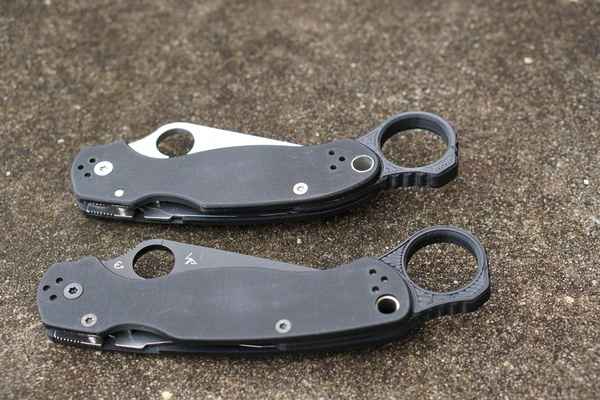 There are versions available for both the Paramilitary 2 and Paramilitary 3 so be sure to select the correct version. Wise Men Company’s Signet Ring, a karambit-like ring attachment for the Spyderco Delica, has been generating a lot of interest. They stated from the start that other models would follow and it looks like we won’t have to wait long. The Signet Ring will be available for the Spyderco Endura/Matriarch in the near future and we have the picture to prove it! Wise Men Company will open pre-orders for the Edura/Matriarch Signet Ring in January. In the mean time, check out the Signet Ring for the Delica at Wise Men Company. 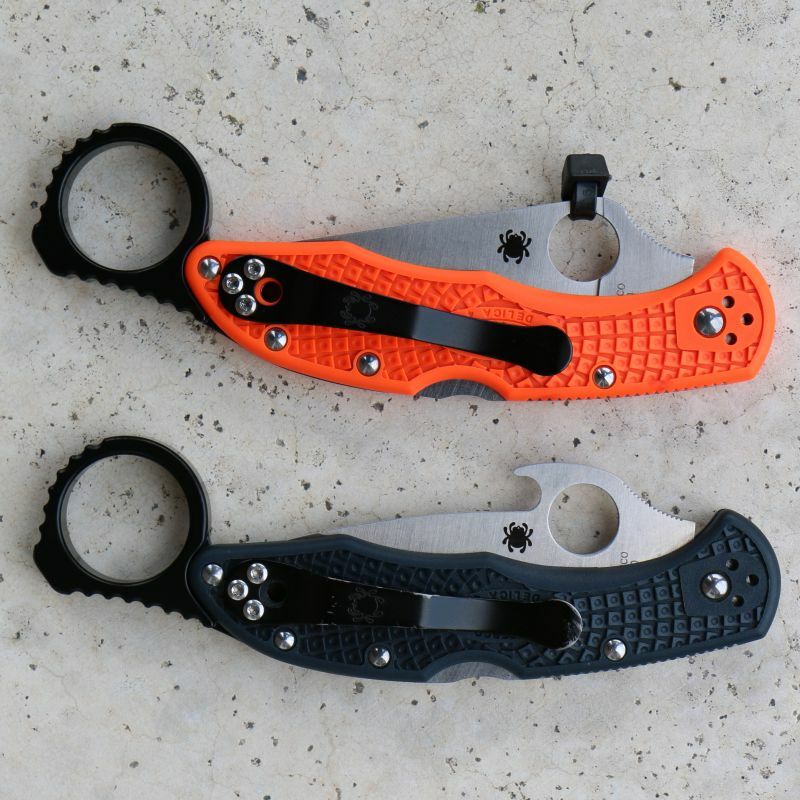 Wise Men Company’s new Signet Ring turns your Spyderco Delica into something entirely new – not quite a karambit but still a Delica. 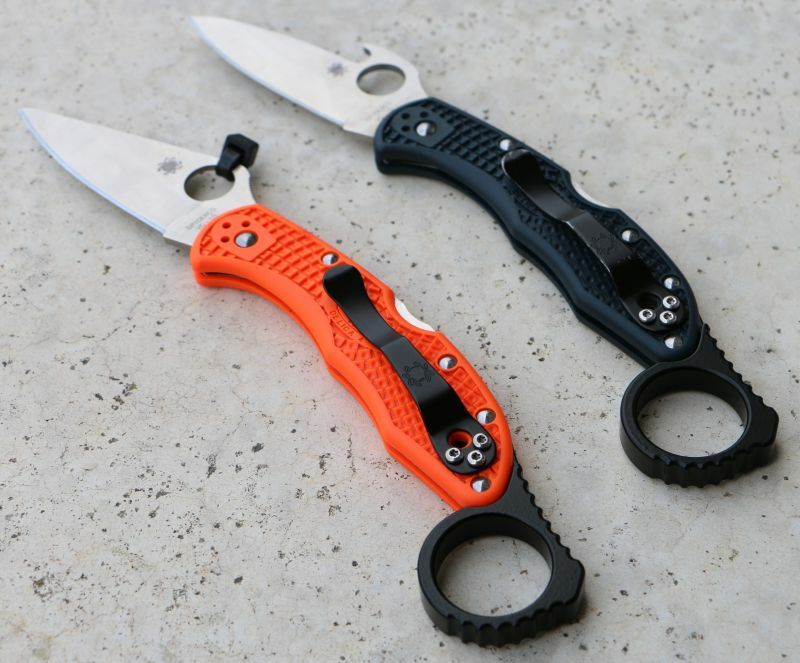 The Signet replaces the Delica’s back spacer with a machined aluminum ring that functions much like the ring on a karabit. It makes the knife easier to retrieve from the pocket and easier to hold in an edge down orientation. 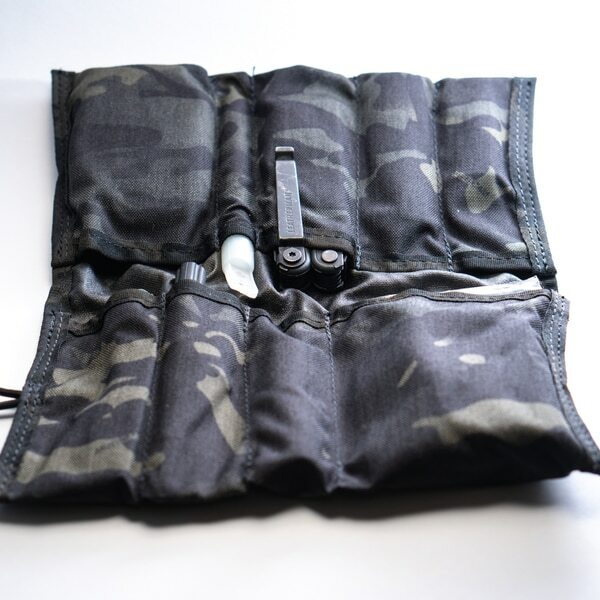 Delicas with the Emerson Wave Opener will be very easy to deploy using the Signet. 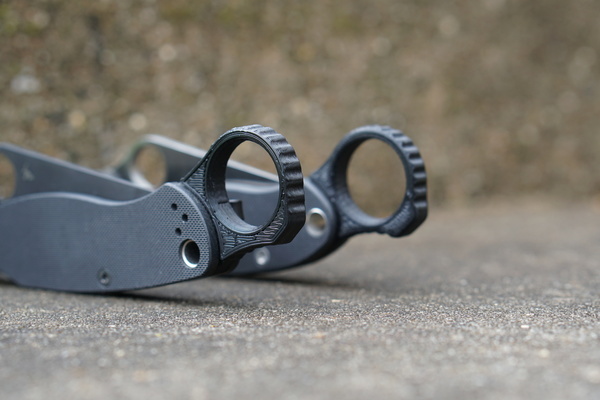 The ring would sit above the wearer’s pocket where the index finger can easily slip into it and the knife will “automatically” deploy on the draw stroke. This can go a long way toward helping solve the issue of ending up with a grip that is too low on the knife when using the Wave. 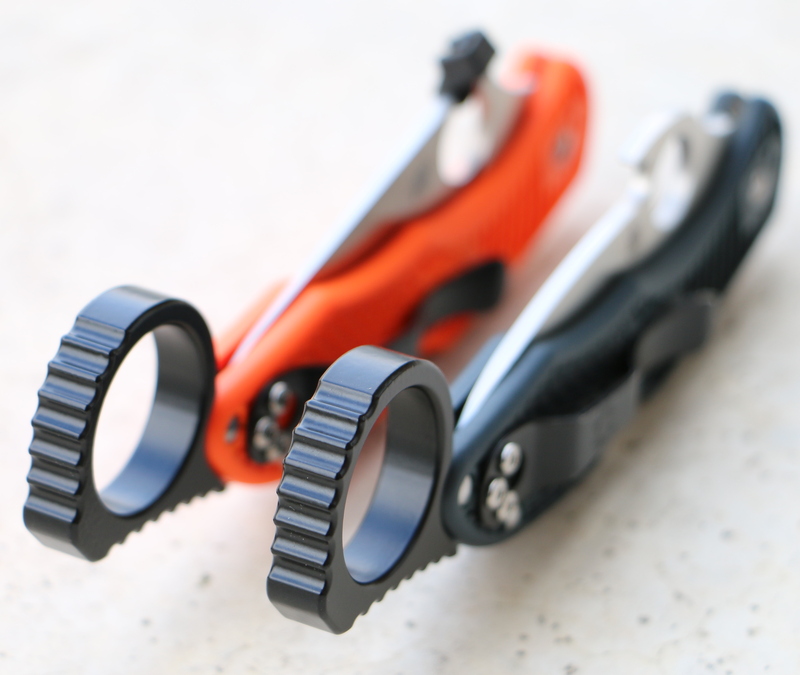 Regular Delicas may be modified to “wave” open in a similar way by simply attaching a zip tie to the Spyder Hole. You can pre-order the Signet Ring at Wise Men Company. 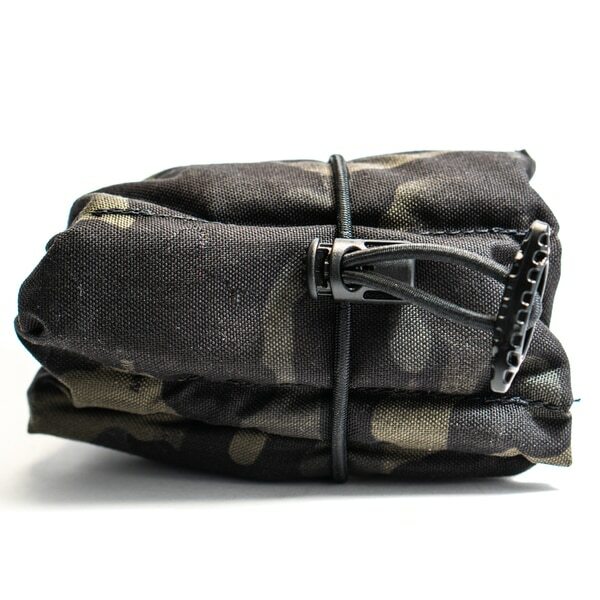 Shipping begins in January.